Niteman Speaks ... Happy Halloween! 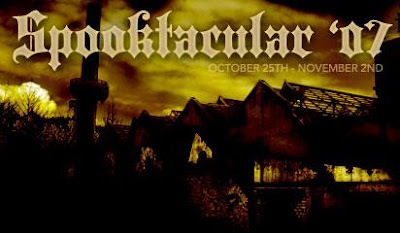 I hope that you are not missing out on Sideshow's Spooktacular 2007. If you haven't stopped by their Web site, you still have until Friday, November 2nd to participate. Don't miss out on loads of FREE products, contests, discounts, new products, and much more! » CLICK HERE to join in the fun! Sideshow Collectibles captures another new license...Elvira. They have been granted the license to produce Elvira Statues, Maquettes, and Premium Format Figures with detailed clothing and accessories! Sign me up!!! I've included an Elvira clip below for those of you who just can't get enough of her. Today, they also introduced the new Friday the 13th Part VII: The New Blood Scream Scene. This scene depicts Jason's watery grave before awakening once again. Also for all you Alien/Aliens/AVP fans out there, you can now pre-order the Aliens VS Predator 2: Requiem Mystery Maquette or the new Alien 3 Diorama. » Visit Sideshow for More Info!